So he was really kind to you Michael - and now you do this to him - TW send him nothing else . Sent him some thumb drives and he made fun of me too. Checked that box off long ago dude! So, I ordered two Combo 2's from Fasttech. Turns out, my gunmetal was not in stock and the whole shipment would be delayed until that was ready to ship. I cancelled mine from the order so her red one could ship, which it has. I paid up about $5 more for an eBay one. Surprisingly enough, it is already out for delivery. I will wait until hers arrives (maybe) before I use mine. Hell, I know me. I won't wait. Wife's Combo 2 is already through customs in Chicago. That's a week from when it was *ordered* in China. What the heck? 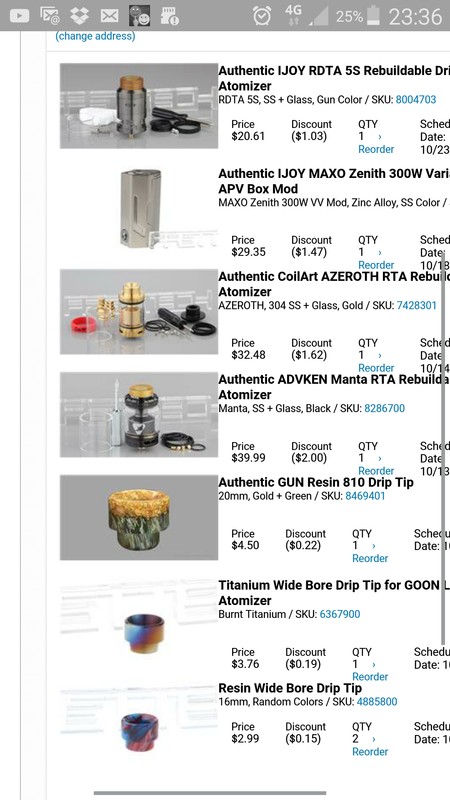 Fasttech has really stepped it up on the last two orders I used them for. Good gravy. Now all I have to do is wait three more weeks for the bumbleheads at the USPS to get it a couple hundred more miles. A week from 'buy it now' to Chicago from China? Must be a record. I have never had issue with FT them selves , the USPS tends to be the grinding factor . Local DiY supplier had a weekend sale.